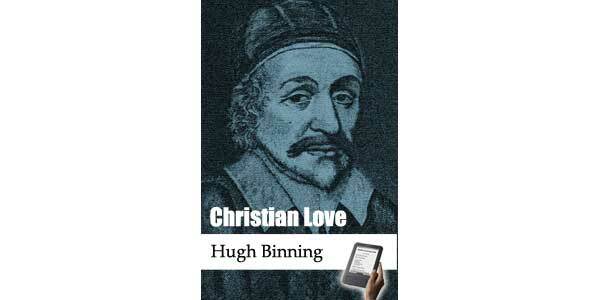 THIS treatise concerning Christian Love, was composed by the pious and learned Mr. Hugh Binning, who was minister of the gospel at Govan, near to Glasgow. He was much celebrated and esteemed in this church, for several practical treatises, frequently printed for the benefit of the public; but this is not inferior to any of them. Though there have been many excellent discourses in late years on this divine subject, yet, considering that there never was a time wherein a treatise of this kind was more seasonable and necessary than the present, when the love of many, of too, too many, is waxed cold, and this holy fire is almost extinguished, this cannot be thought to be superfluous. The author was a minister of a most pacific temper; and this amiable grace and virtue did illustriously shine forth in him: and in this discourse, he breathes with a spirit of love in the most affecting and gaining manner; so that, I dare say, that, though it be above ninety years since he composed it, it does not fall short of any performance of this kind that has since appeared in public. This treatise, with a great number of excellent sermons, preached by this able minister of the gospel, many of which have never been printed, in a manuscript in folio, was found in the late Rev. Mr. Robert Wodrow, minister at Eastwood his library; and all care has been taken to publish it faithfully, without any alteration, either by adding or diminishing any thing from it. 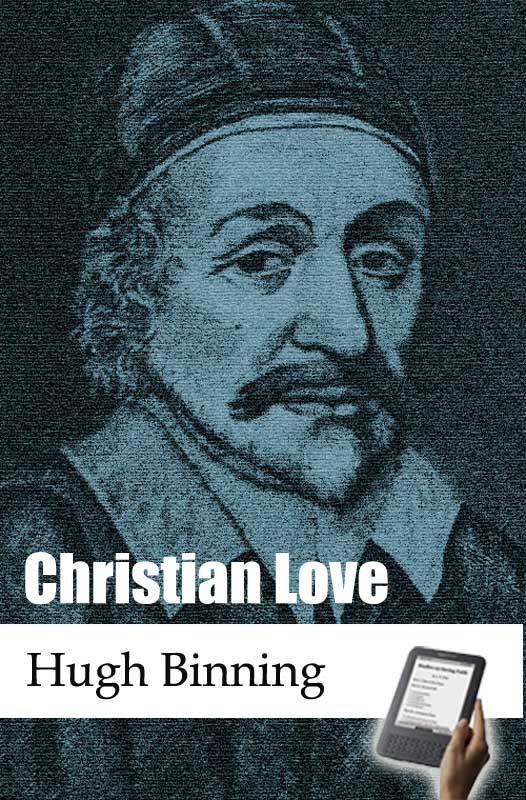 This divine subject of Christian love he lays a great stress upon; he shows, that there is a greater moment and weight in Christian charity, than in the most part of those things for which some Christians bite and devour one another. It is the fundamental law of the gospel, to which all positive precepts and ordinances should stoop. Unity in judgment is very necessary for the well-being of Christians; and Christ's last words persuade this, that unity in affection is most essential and fundamental. This is the badge that he left to his disciples: if we cast away this upon every different apprehension of mind, we disown our Master, and disclaim his token and badge. Mr. Binning treats of this subject in a most sublime and pathetic strain; he explains the nature of this grace, discourses of the excellent properties and blessed effects and fruits of it, in a ravishing and captivating manner. There is such a variety of beauties in this treatise, that they deserve to be noticed in this preface; and particularly, his admirable commentary on the 13th chapter of the First Epistle to the Corinthians, wherein he outstrips all that went before him: and, in fine, he enforces the exercise of this grace with the most convincing arguments, and the most powerful motives. And now, not to detain the reader from the perusal, it is earnestly wished, that the end of the publication may, by the blessing of God, be obtained; which is, that Christians in our days may be as the primitive ones,—of one mind and of one heart, and that they may love one another with a pure heart fervently.